This fun video highlights the strengths and weaknesses of each format. Which do you prefer? Which Notebook is Fountain Pen Friendly? 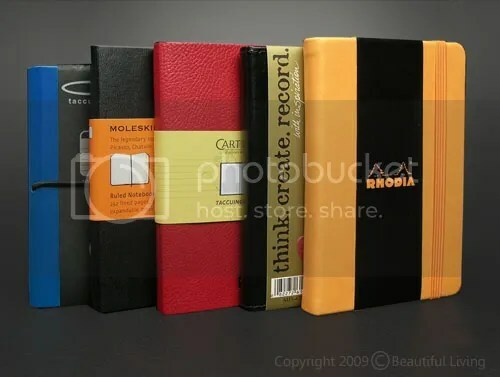 How do Leuchtturm, Moleskine and Rhodia Notebooks Compare? Find out how Leuchtturm Journals compare to Moleskine and Rhodia Webnotebooks when using fountian pen and ink. 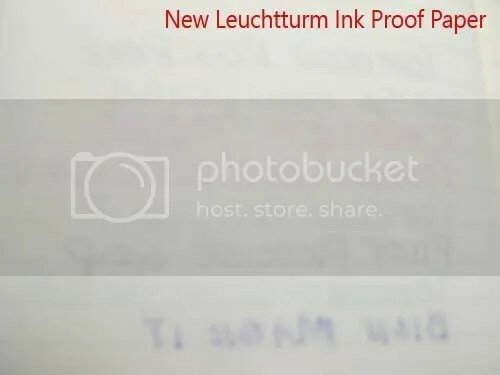 A thorough and informative review of Leuchtturm journals at Lady Dandelion’s blog answers the question about notebook paper and fountain pen compatibility. Armed with Leuchtturm, Moleskin and Rhodia notebooks along with fountain pen and ink, she shares the results of writing in each journal. 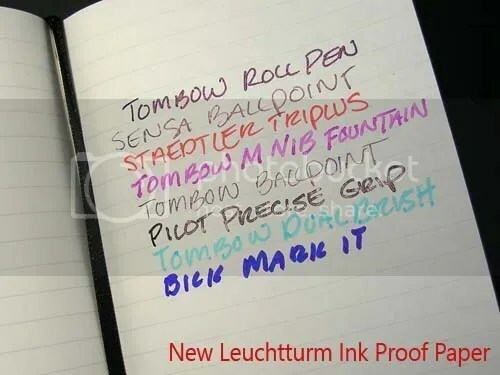 For those of you who love writing in journals with fountain pens, find out how Leuchtturm compare to the notebooks you are using now. “As most people who like to write and are conscious about which pens they write with – I’m on a perpetual hunt for a real good notebook. I find it harder to find a good notebook with fountain pen friendly paper than to find a reasonably priced fountain pen with a pleasant nib or a beautiful ink. . .
Let us know what you are using and what combination works best for you by leaving a comment including your pen, ink and notebook preference. Photo and excerpt published with permission of Lady Dandelion. Fiorentina offers a complete line of Italian journals produced by small artisans as well as a fully established manufacturing plant that has supplied the gift industry for more than 30 years. The journals range from contemporary, pocket-sized journals, to elaborate, hand-crafted journals which ooze traditional, Italian design. They all have excellent paper, high-quality workmanship and beautiful design. A 5" x 7" Fiorentina refill is moderately priced at $10.99. It can be used with Fiorentina's line of refillable, leather journals. 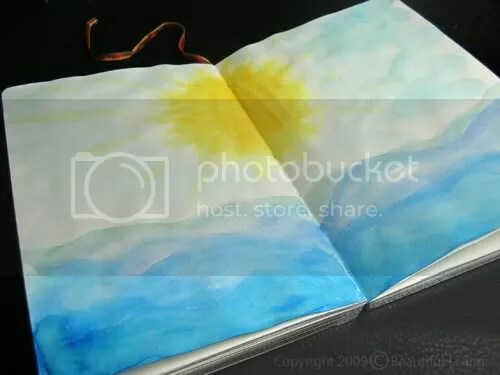 If used without a journal cover, the outside can be decorated with collage, paint, paper, fabric or a variety of art supplies for a custom look. Fiorentina's 5" x 7" refill has 256 ivory, lined pages which have a slight tooth on the surface. There are 22 lines per page spaced approximately 7 mm apart. There is a small, screened logo at the bottom center of each page. The paper is lovely. It is ivory in color, fairly opaque and has a a very slight tooth on the surface. I am not sure of the exact weight of the paper, but it feels comparable to the weight of the Cartesio journals, which is 110 gsm. The surface feels porous to the touch and there is no evidence of a coating. The binding is tight, even so, I am able to open the journal flat when working. The pages are ruled with 22 gray lines that are about ½ pt. thick and are spaced about 7 mm apart. The lines stop about 7 mm before reaching the left and right edges, leaving small, vertical margins. The refill measures approximately 4¾” x 6½” and fits Fiorentina’s 5″ x 7″ journals. This refill is designed to fit a variety of Fiorentina’s 5″ x 7″ journals. 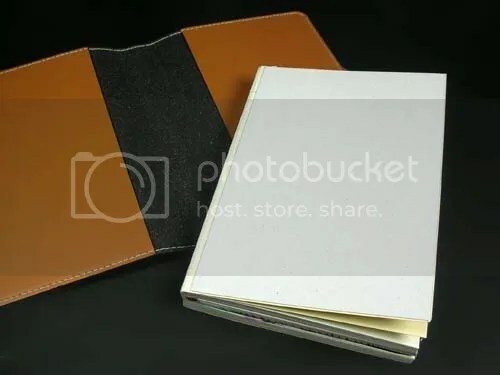 Pictured is a refillable, recycled, leather journal I received as a sample about a year ago when I was considering adding some new items to my store. Other refillable journals including a sunny yellow Smile Journal are available. Please note that you may get different results using your pens than I do with mine. A lot of variables can come into play here including pen type, ink type, pressure used, nib style and environmental conditions, etc. I will do my best to be specific when possible and to include all of the relevant details, but sometimes these things vary. I was quite pleased by how well the paper in the Fiorentina refill performed. The words on the page appeared clear and the depth of color was similar to others I have tested, with plenty of contrast for good readability. The inks went down clean without drags, skips or picks and the paper was a joy to write on. The edges of the words written with the Pilot Precise Grip marker and my Tombow Fountain pen appear clear, but not as sharp as those written in the Rhodia Web Notebook. The difference is slight, but if you look very closely, you can see it. I am guessing this is because of the difference in the surface of the paper. The Fiorentina paper is more porous, so the ink settles into the paper and dries more quickly, while the ink on the Rhodia paper sits on top a little longer and dries more slowly. This difference in the Tombow Fountain pen sample could be because of a difference ink. 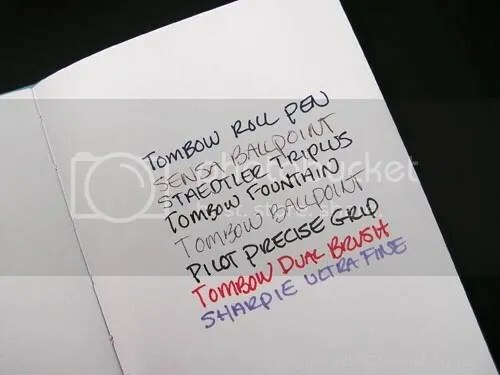 For this test I used a budget, Foray fountain pen cartridge in my Tombow pen and have found it to perform a little bit different than the original Tombow refill that came with the pen that was used for tests in other journals. There was little showthough and no bleedthrough using any of the roller, ballpoint and fountain pens, so the showthrough was comparable to the Rhodia Webnotebook I tested in an earlier review. What really surprised me was how well the paper resisted bleedthrough from Sharpie Fine Point Permanent marker. While it did bleed through where I started the down stroke of my letters, most of the letters did not bleed through at all. None of the ink samples had raised areas on the backside of the paper. It performed better than Rhodia’s Webnotebook which was my previous best performer. I tested the paper using a variety of pens from several manufacturers. Overall, the paper was a top performer. 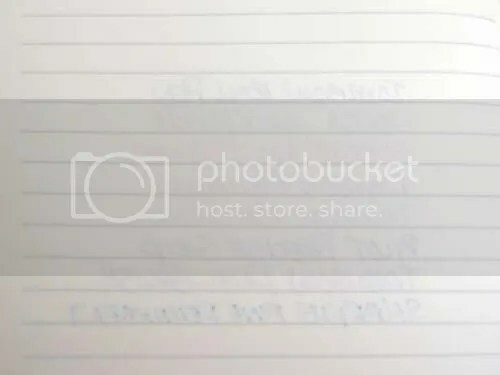 The words written with the Pilot Precise Grip and Tombow Fountain pen are almost as clear as the samples in the Rhodia Webnotebook, but not quite, due to the porous surface. Because of this, wet inks dry much faster than on Rhodia's paper. The paper is fairly opaque so there is little showthrough. While there was bleedthrough with the Sharpie Permanent Marker, it was only slight and much less than any other journal I have tested with exception of Leuchtturm journals produced after August 2009. For my uses, I like the paper in the Fiorentina refill better than any other I have tested to date because of the lovely paper and quick drying time. The paper is reminiscent of fine stationery and because of its thickness, it handles pens and other mediums without bleedthrough unless you are using a wet, permanent marker. Even then, bleedthrough is minimal. The page count and heavy paper does give you a journal that is thicker than many, but it is a reasonable tradeoff for the high-quality of the paper. A large variety of pens will work well on the paper although this may vary somewhat depending on your pen and ink choices. If you use a wet fountain or roll pen, this journal may be a good choice for you if you want to avoid showthrough and bleedthrough. In my experience, I was able to use my fountain pen with great success, but since inks and nibs vary so much, you may have different results than I did. Who knows, your pen might perform even better! If you have had an experience with a Fiorentina journal or refill and you’d be willing to share with us, please email me at cynthia@journalingarts.com. I would love to hear from you. 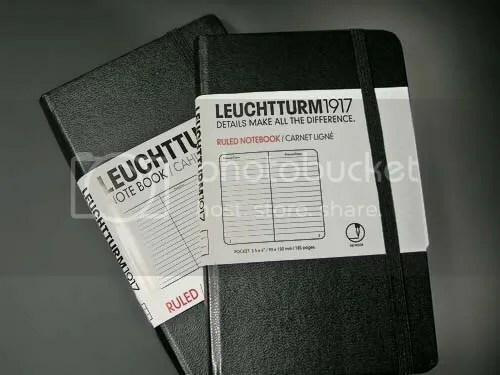 Leuchtturm started making all of their their journals and planners with a new, ink-proof paper starting in August, 2009. The original journals did not have this feature, so I thought it would be interesting to subject both old and new journals to the same tests I conducted on the Rhodia, Moleskine, Ciak, Cartesio and Markings Journals. Please note that you may get different results using your pens than I do with mine. A lot of variables can come into play here including pen type, ink type, pressure used, nib style and environmental conditions, etc. I will do my best to be specific when possible and to include all of the relevant details. 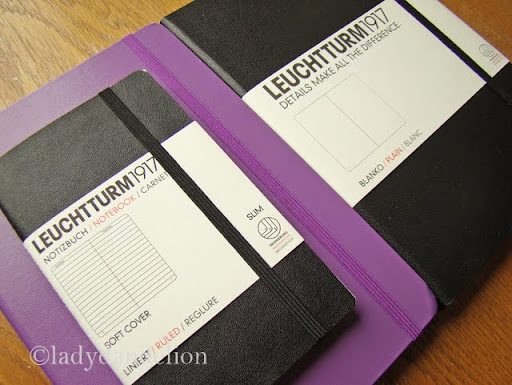 Both Leuchtturm journals are different than the other journals I tested in the following ways. They measure 3½″ wide by nearly 6″ tall, so they are taller than most. 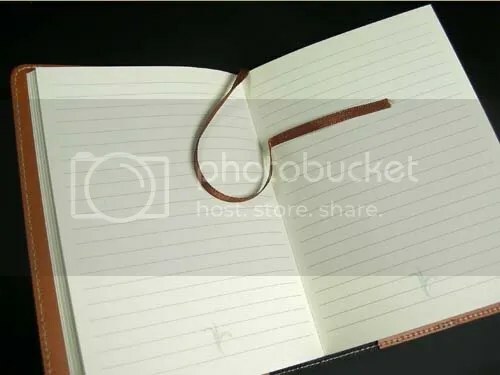 Like other notebooks in a previous test, both include a ribbon bookmark and ruled lines. Like the Moleskine, the Leuchtturm journals both lay completely lay flat when opened. There are 22 usable lines per page, that measure 6 mm apart. The expandable envelope in the back is useful for storing notes, receipts and photos. This paper is thinner than the earlier version and weighs 70 gsm. I don’t know for sure what the weight of Leuchtturms’s previous journal was, but it feels thicker then the new paper and is similar to that in a Moleskine. The lines are much lighter than the earlier version, which is great if you prefer a page with a clean appearance. It performed as advertised regarding bleedthrough, but because the paper is thin, there is showthrough on the back side. It did perform better than any notebook I have tested so far with a permanent marker, however. The Bic Mark It pen I used just barely bled through the back while it saturated any other paper I have tested. The pen and ink test on the new, in-proof paper yielded mixed results. The ink color was strong and bright and I experienced no feathering, but there were some issues on the backside of the paper. While the inks did not bleed through the paper, there was a considerable amount of showthrough, more than can be seen in this photograph. If you use a Leuchtturm journal, I would recommend a pen with a thin line and a light ink color. The surface of the paper was receptive to wet writers but the ink dried slowly. This is a problem for me because I write quickly and tend to smear ink if it is still wet. The paper produced dark, contrasting lines and rendered strong, bright colors that rivaled the lines made in the Ciak notebook in an earlier test. When using my fountain pen, the ink dried slowly. There was some tonal variation that was equal to the variation on the Rhodia paper, but overall the ink color was darker and more intense. I liked the way my fountain pen wrote on this paper and found it satisfying the way the paper accepted the ink even though drying times were long. I did not experience any bleedthrough with my Tombow Fountain pen. Other things to consider; the new Leuchtturm journal has 185 pages, 5 pages more than the previous version, which is good news if you find yourself running out of paper too soon. But there are only 8 perforated pages in the new journal while the old journal had 32 perforated pages. The paper in the earlier Leuchtturm journals was heavier than the new paper and so were the lines. The rules in the old version are substantially darker and appear thicker than in the new, ink-proof paper. It performed much like the Markings journal in a previous test. There was bleedthrough on the Tombow Fountain Pen as well as the Tombow Rollerball and permanent marker examples. The pen and ink test on the paper of earlier Leuchtturm journals did not perform all that well. The ink color was strong and bright but there was minor feathering and some issues on the backside of the paper. 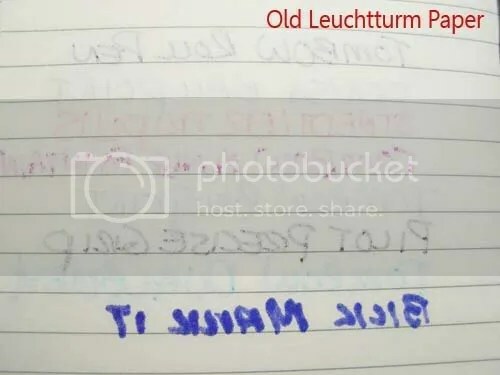 There was siginificant showthrough and bleedthrough in the older verison of a Leuchtturm journal except on the ballpoint pen examples. The surface of the paper was receptive to wet writers and the ink dried fairly fast. The paper produced dark, contrasting lines and rendered strong, bright colors similar to the lines in the Leuchtturm journals. When using my fountain pen, the ink sank well into the paper and dried in a reasonable amount of time. There was less tonal variation than on the new, ink-proof paper, but overall the ink color was dark and intense. I liked the way my fountain pen wrote on this paper and found it satisfying the way the paper accepted the ink. There was some bleedthrough with my Tombow Fountain pen, however. The new, ink-proof paper in the Leuchtturm notebooks is definitely an improvement over the earlier paper. It handled even the wettest inks without any bleedthrough. It even performed well with a permanent marker, better than any others I have tested to date. The paper is thinner than the earlier paper and thinner than many comparable notebooks, so there is a fair amount of showthrough on the backside of the paper. If you use a pen with wet, dark ink, I would look elsewhere unless you are happy using only one side of each page. However, I think the paper in the Leuchtturm notebook is fine for use with most pens, especially those with lighter colored inks. 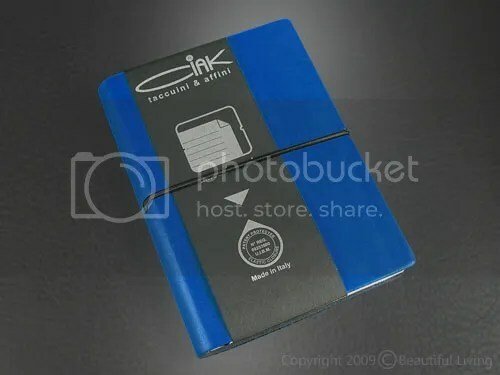 If you are using this journal to take quick notes on a day-to-day basis using basic ballpoint pens, pencils and markers, a Leuchtturm journal will work well for you and may even save you some money in the long run. The extra archiving features make this journal ideal if you like to categorize and/or organize your information. This is where the Leuchtturm journals really shines. There is no other journal that offers these features at the moment. The Table of Contents and page numbers make it easy to find what you are looking for as long as you can bring yourself to catalog your journal’s contents as you go. The labels are perfect for titling your journals and make them easy to identify when organized on a shelf. However, if you prefer using dark, wet pens, such as fountain pens, roll pens or markers, you may want to consider a Rhodia, Ciak, or Cartesio notebook instead because they have significantly less showthrough than the Leuchtturm and shorter drying times. Write and Draw. Verbalize and Visualize. Organize and Improvise. This description embodies the function of the Revolver journal, but it omits the most obvious feature of the journal; the ability to turn inside out, revealing another side of its dual personality. My initial response to this concept was that it was a bit too cute, but as I worked with the journal, I found it to be a capable notebook that has some features that make it unique. I was surprised by the quality of the recycled paper and found it to perform as well as the Ciak journal on the pen tests. The Revolver journal is designed to function like the Jacob’s Ladder toy. 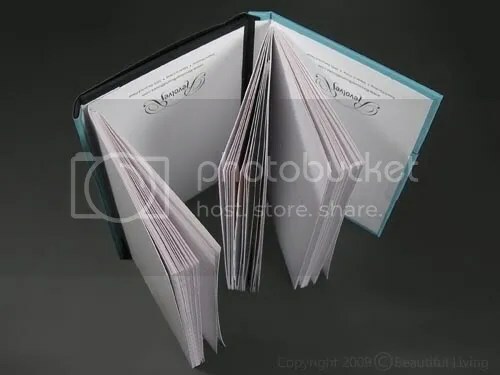 If you open the journal, placing the front and back covers together, you can open it again from the inside by splitting the spine and a brand new cover will be revealed. Each Revolver journal includes two different colored covers, so you can change the outer appearance whenever you see fit. The pocket-Sized Little Blue Revolver Journal features a reversible blue-to-black cover, silver foil accents and two interior note pads. The Revolver in this review is the Little Blue and it revolves back and forth from blue to black covers. When the blue cover is selected the pad of plain, sketch paper is on the left and the ruled paper is on the right. The reverse is true when the black cover is selected and the ruled paper is on the right and the plain paper, the left. 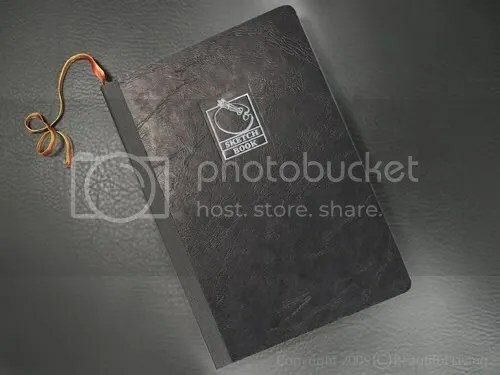 Regardless of the cover color, there is a magnetic closure on the long, open side of the journal that completely covers the open edge. Convenient? Yes, but could cause a problem if you are keeping it close to recordable media such as USB drives, discs or digital cards. The Revolver's spine feature a magnetic closure, great for keeping the contents secure, but could damage or disrupt drives or USB drives. The cover texture is smooth, and I found it perfect for embellishing. I added some metallic marker swirls to the band across the middle of the cover with excellent results. The marker adhered well and is now a permanent part of the cover, resistant to scratches and bumps. 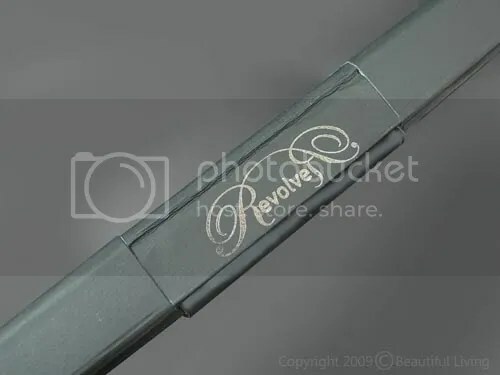 Permanent markers also work well on the Revolver’s cover and would be a great way to add a custom design. The band across the cover offers a great opportunity to customize the journal. I hope the folks at Revolver Bound Books will consider adding coordinating graphics to the band in future editions. 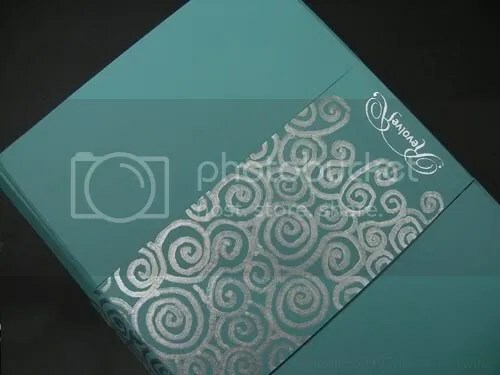 Here, silver metallic pen was used to create coordinating swirls. 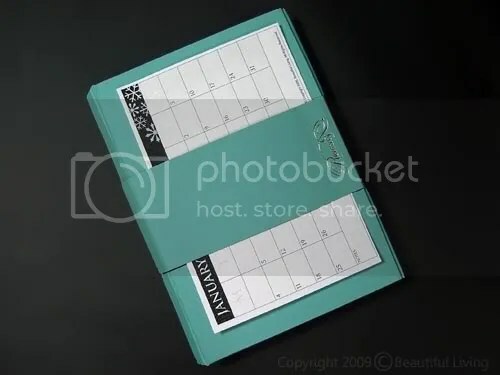 The band is also the perfect place to tuck a calendar page or notes. The pocket-sized Revolver journal includes two permanently-bound pads of recycled note paper, one lined and one ruled. Each pad consists of 32 leaves for a total of 64 pages. The white, ruled pages each contain 21 olive-green lines that are spaced 6mm apart. There are no margins at the top or the bottom. The texture of the paper is similar to the texture of a sketchpad and feels porous. 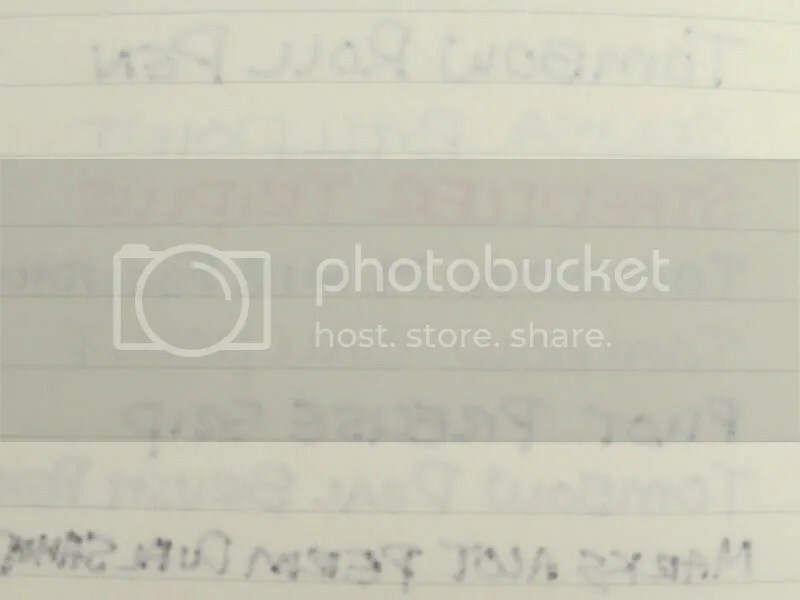 Each notepad opens flat, making writing or sketching easy. 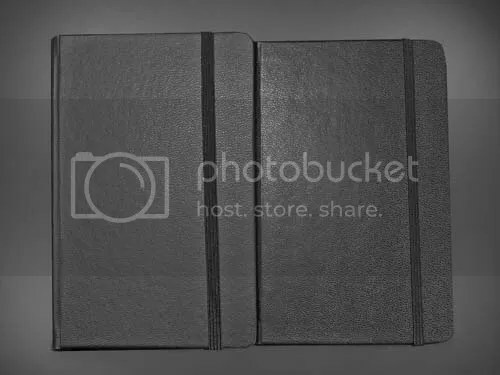 The Revolver journal includes 2 notebooks, one lined and one plain. Please note that you may get different results using your pens than I did with mine. A lot of variables can come into play here including pen type, ink type, pressure used, nib style and environmental conditions, etc. The paper in this journal was an excellent performer regarding bleedthrough and showthrough, very similar to the Ciak notebook. It was receptive to wet writers and is fast drying, which is great for fountain pens and rollerball pens. There is more tooth to the paper than the Rhodia and Moleskine notebooks, but I think this is part of what makes the paper so agreeable to wet pens. The paper also produced heavy lines and rendered the strong, bright colors. The Sharpie Ultra Fine permanent marker did bleed through, but this was expected. When using my fountain pen, the ink sank well into the paper and the dried quickly. There was minor tonal variation, but overall the ink color was intense. I liked the way my fountain pen wrote on this paper and found it satisfying the way the paper accepted the ink. 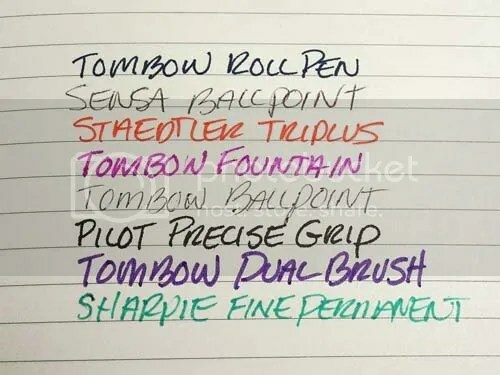 I did not experience any bleedthrough with my Tombow Fountain pen and only one raised area on the back when using the Tombow Ballpoint pen. A variety of pens performed well on the paper in the Revolver Journal. Only the Sharpie Ultra Fine marker bled through the back side. Most of the pens had some showthrough on the back of the page. 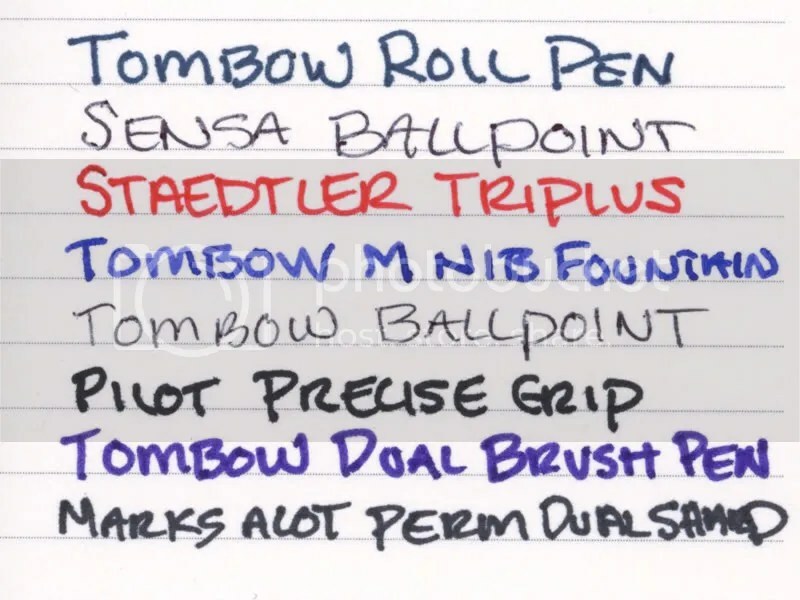 In most cases this was minor, but was more evident on the Tombow Roll Pen sample. The texture and color of the paper are ideal for sketching. I used pencil, charocal, water-based marker, pastel and ink without any bleedthrough or showthrough. The only showthrough on the paper was from the Sharpie Ultra Fine marker. Overall, I was very satisfied with the surface of the paper for sketching and drawing. I also used watercolor, which caused the paper to buckle, even after it had dried. The paper is thicker than the paper in a similar Moleskine journal, but thinner than that of a Ciak notebook, so I only recommend it for sketching and drawing or general note taking. The paper opens flat for easy sketching or writing. The spine of the Revolver journal has just enough space to slide a pen clip through, making it easy to keep a pen or pencil with the journal. If you want a unique journal that can do double duty, the Revolver is worth a look. The combination of both lined and plain pages gives you the opportunity to write, draw, verbalize and visualize all within the confines of a small notebook. The paper is of good quality and can handle a variety of pens, pencils and ink. The novelty of changing the cover color may wear thin after a while and you may find yourself sticking with just one color after time, but even so, the notebooks inside will serve you well for most of your note taking needs. 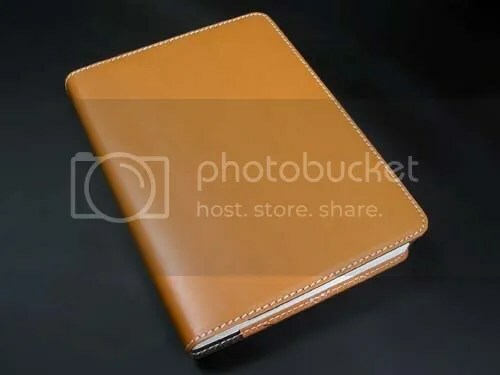 I can’t help but imagine how well this format would work for a planner and notebook combination and wonder if they have this in the works for future editions. I guess for now, I can only imagine how nice it would be. Revolver journals were provided for review at no charge by Ellen from Revolver Bound Books. You Tube video is copyrighted and was used in this article with the permission from Revolver Bound Books and Journals. As an artist and art journaler, I am always on the lookout for high-quality, convenient journals I can use for making art. 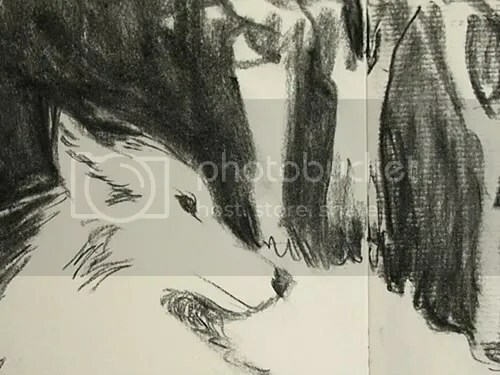 For basic doodling with pencil I can use anything, but when making art, I need a journal that can handle marker, watercolor, charcoal, ink, colored pencils, as well as pencil and pen. The cover is made from thick, textured cardboard that begs to be embellished with metallic markers and collage. It opens flat and would be an excellent choice for creating an art or travel journal. When I received a package of journals to review from Karen at Exaclair, there was an Exacompta Sketchbook in the box. It appeared innocuous enough with its textured black cover, but the silver edged pages, cloth spine and the silver embossed cover intrigued me and urged me to explore the paper within. Was it as nice on the inside as the outside? The pages have silver edges that sparkle against the black background and add a sense of elegance. You would never guess that the sketchbook retails for about $12.00. According to Exaclair, the Exacompta Sketchbook contains heavy weight 100g paper that is ideal for use with a fountain pen, calligraphy nib, rollerball or felt-tip pen. The cream-colored paper is pH neutral, made up of 25% cotton, and has a bit of texture to it. 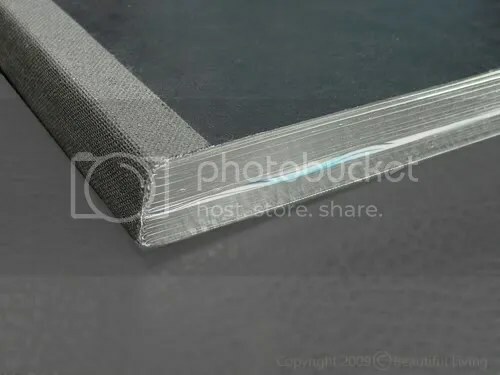 The cotton fibers and a water mark can be seen when held up to the light and the sketchbooks are sewn and bound, meaning the books open flat while pages won’t become loose and fall out with use. I didn’t use a calligraphy nib or fountain pen in this review, but I did used a very wet Tombow roll pen, markers, charcoal and watercolor. I was pleased with the results, the paper performed beautifully. The paper color is soft ivory in color, which is easy on the eyes and the perfect backdrop for pencils and charcoal. It is fairly thick, but it is not near as thick as Moleskine Sketch paper. Rather than being smooth, the paper is slightly textured with a laid finish. If you look closely, you’ll find the texture is more pronounced on the front side of the page than the back, making the vertical pattern more visible on some pages and the horizontal texture more visible on the others. 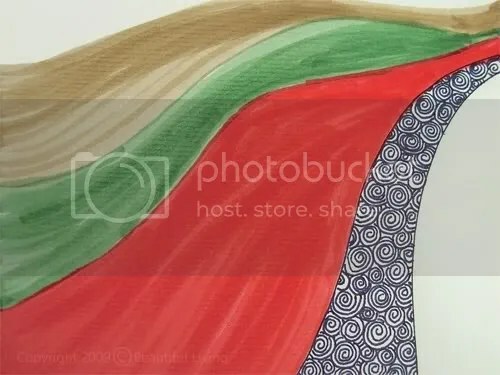 If you want a consistent paper texture on a 2-page illustration, you will need to use the center of one of the paper signatures where the 2 pages are from a single side of the sheet, thus having the same texture all across. 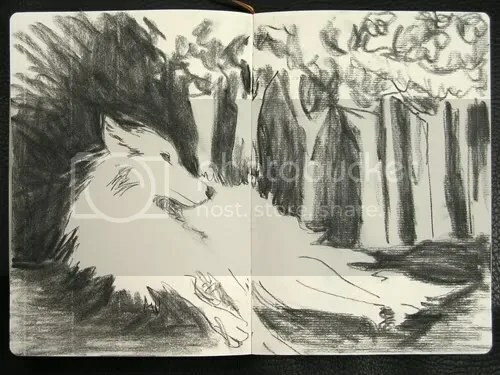 This charcoal rendering of the wolf was done across 2-pages. The left page is the backside of the paper and is smoother than the right, front side. On the left, the vertical texture in the paper is evident while on the right, the horizontal textures are more prominent. While some of you might find the paper's texture and pattern distracting, I like it and think it adds some vertical energy to the rendering. Charcoal is my favorite medium for this paper. It goes on smoothly and does a good job of picking up the paper’s texture. The charcoal stick makes a lovely, rough sound as it leaves a mark that really adds to the sketching experience. The deep color contrasts well with the paper and it is very satisfying pressing the color onto this paper. The texture can be enhanced by blending or rubbing the charcoal into the crevices and wiping the surface free of the excess powder. For areas that need to be to be dark black, extra pressure will push the charcoal down into all of the nooks and crannies. In this close up image, you can see the horizontal texture of the paper on the right page. On the left page, the vertical texture is more visible. I also used ink and marker on the paper to see how well these mediums performed, and like most other journals from Exaclair, the paper performed beautifully. The ink from my Tombow Ultra Roll Pen went on smoothly without skips. This is a wet pen and yet there was no bleedthrough and only a minimal amount of showthrough. I was surprised to find that the raised lines created by pen pressure were more visible than the ink on the backside of the page. I was pleased to use a paper that handled ink so gracefully, and was thrilled to know I can use both sides of the paper for my work. The results of the marker test were similar to the ink test in that there was no bleedthrough and very little showthrough. The color appeared rich and saturated and the surface remained intact and unblemished. I was able to use multiple layers of color without the surface of the paper turning to mush. Then came the real challenge; wet, sloppy watercolor. So many have sketchbooks failed this test so I was interested to see how well the paper performed with this medium. The first light layers of wash went on with minor buckling, but the paper produced colors similar in brightness and clarity to watercolor paper. After the paint dried, the paper flattened a bit, but there was still some buckling and cupping. Unlike some coated sketchbook papers, there was no beading up or resistance. Each subsequent layer went on like the first and I was able to apply multiple light layers to achieve a reasonable depth of color, but the more layers I applied, the less stable the paper became. After completing the yellow areas, I managed to remove some of the surface of the paper, creating some small lumps of colored paper. The watercolors were bright and lively on this paper, but I don’t plan on using watercolors with this paper for anything other than quick color sketches or for testing certain effects. The paper buckles less than most, but it is still enough to make using watercolors a less-than-rewarding endeavor. Watercolors are clear and bright on the paper, but the paper buckled from the wet medium. While it was less than expected, I wouldn't recommend it for anything other than light, quick watercolor sketches. In the areas that received the most wet paint, the surface started to break apart resulting in some lumpiness on the page. I love this sketchbook. The paper is exquisite and it is a good value if you are inclined to bargain shop. The street price is about $12 although you can purchase it online with a Madeira leatherette cover for about $20. This would be an excellent sketchbook to use for art journaling. It handles a variety of mediums, lies flat when opened and is big enough to comfortably draw in and small enough to transport. 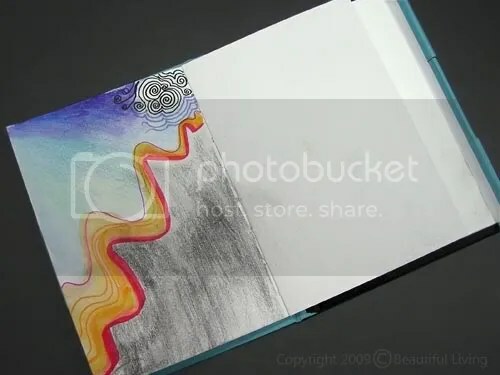 The cardboard cover can be easily customized with paints, collage, metallic pens, fabric giving you limitless options for creating a journal as unique. 100 gsm which is roughly a 65 lb. paper. According to Karen at Exaclair, this Sketch Book is going to get more of a prominent spot in Exaclair’s 2010 catalog. The paper comes from the same mill in the Netherlands that produces Clairefontaine’s fine art paper – http://jherbin.com/schut_mill.shtml. Thank you, Karen, for supplying me with this great little sketchbook to review. I really enjoyed it! Have you used this sketchbook? If so, leave me a comment and let me know what you think about it! This review is the fifth in a series where I will test the paper in some of the most popular notebooks today, including Moleskine, Ciak, Rhodia, Markings by C.R. Gibson and Cartesio. I am posting the reviews in no specific order. 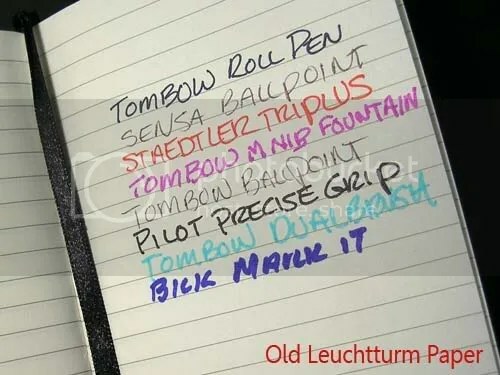 I intentionally omitted the Leuchtturm journals because they are planning on changing to “pen-proof” paper in their journals in August, 2009, and in all fairness, I want to review their newest products. The pens I chose were based on what I had lying around my office, but my selections are similar to popular pens in the market today. I chose a fountain pen with a medium nib because it will lay down more ink and will be more likely to feather or bleed through the paper than a fine point nib. The paper was tested in Moleskine, Ciak, Rhodia, Cartesio and C.R. Gibson’s Markings journals. All journals have light ivory colored pages that look very similar. The Ciak journal is different than the other journals I tested in the following ways. It measures nearly 4″ wide by 5¼” tall, so it is a little shorter and fatter than the others. The heavy elastic strap runs horizontally around the cover, which is great for attaching a pen. The cover is soft and flexible and available in a wide variety of colors including black, red, orange, yellow and blue. The pages are heavier than the rest, so the paper takes up more room, although the journal is thinner overall than the Rhodia because of the Web Notebook’s thick covers. Like other notebooks in this test, it has 192 page count, ribbon bookmark and ruled lines. 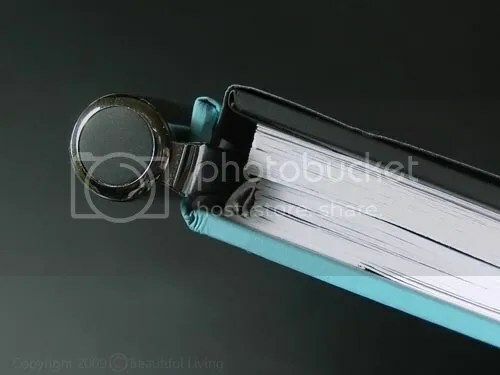 While the notebook won’t lay completely lay flat when opened, it will lay almost flat and stay open on its own if you break it in by pressing it open and creasing it along the spine. The paper is the thickest of the 5 notebooks and has a small amount of tooth. There are 20 lines per page, so the ruling is a little wider than the Rhodia, Markings and Moleskine notebooks and the lines stop short of the outer and inner margins. The paper in this journal was a top performer regarding bleedthrough and showthrough, a close second to the Rhodia Web Notebook. It is very receptive to wet writers and is fast drying, which is great for fountain pens and rollerball pens. There is more tooth to the paper than the Rhodia and Moleskine notebooks, but I think this is part of what makes the paper so agreeable to wet pens. The paper also produced the heaviest lines and rendered the strongest, brightest colors, more so than any of the others. The Marks A-Lot permanent marker did bleed through, but it bled on all of the papers in the test, so this was expected. When using my fountain pen, the ink sank well into the paper and the dried quickly. There was some tonal variation that was equal to the variation on the Rhodia paper, but overall the ink color was darker and more intense. I liked the way my fountain pen wrote on this paper and found it satisfying the way the paper accepted the ink. I did not experience any bleedthrough with my Tombow Fountain pen nor any raised areas on the back. Enlarged detail of the inks on the paper of the Ciak journal. The ink color is saturated with excellent contrast, the best of all tested. If you right click this image and select “view image” from the dropdown menu, you can see an enlarged view. The back side of the paper had some showthrough and there was small amount of bleedthrough with the Tombow roll pen and the Pilot Precise Grip at the end of lines where the ink pooled, but it would not keep you from using both sides of the paper. There was lots of bleedthrough on the Marks-A-Lot Permanent Marker, but this was a problem on every paper in this test including the top rated Rhodia. There were no raised areas on the back side of the page, not even on the ballpoint pens. This is worth noting for those of you who like writing on both sides of the paper. The back side of the page has some showthrough and bleedtrough. There were no raised areas on the reverse side which makes using both sides of the paper a real possibility. If you right click this image and select “view image” from the dropdown menu, you can see an enlarged view. I have to comment on the build and quality of this notebook. While it may not be relevant to how well the ink performs, it is great to use a notebook that looks and feels like a quality journal. The binding is tight, the paper is clean and the elastic strap is very durable. 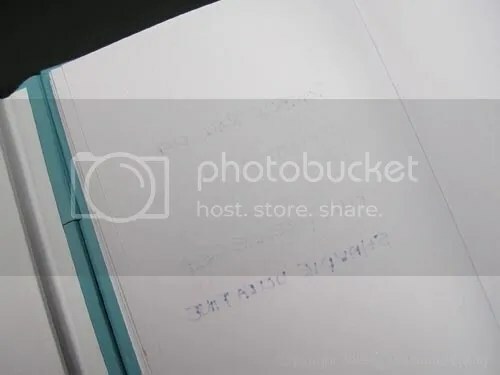 I have had a lot of different notebooks over the past few years and I have never had a problem with a Ciak journal, which is more than I can say with most of the others. I love using the Ciak notebook especially with my fountain pen. I like the way the ink was accepted on the paper and that there were no raised areas on the backside of the paper. Because the paper is so accepting, I would imagine that a few fountain pens and rollerball pens will bleed through a bit depending on the ink you are using. If you use ballpoint pens or if you don’t mind experimenting with your writing tools, the Ciak is an excellent choice. It feels well made and has higher quality materials than the Moleskine or Markings journals.